Stratford Homes Sun Valley | Excelsior Homes West, Inc.
Are you looking for a modular home with a split bedroom floor plan? The Stratford Homes Sun Valley may be the perfect layout for you! The Startford Homes Sun Valley has over 1800 square feet of space that includes three bedrooms and two bathrooms. This home’s floor plan features a split bedroom floor plan, with the master bedroom on one wing of the house and the spare bedrooms on the other side. The master bathroom is spacious with a large walk-in closet and bathroom–the perfect place to relax after a long day! The bedrooms are separated by the main living space, which features the living room, dining room, kitchen, and utility room. The main living area has an open concept feeling with plenty of room to entertain family and friends. If this Stratford Home is what you are looking for, call Excelsior Homes West, Inc. today! We can get you the information and pricing you need. The Stratford Homes Sun Valley can be customized with available options and upgrades through the Stratford Homes manufacturer. 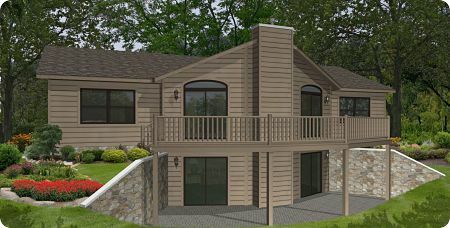 The Stratford Homes manufacturer is located in Stratford, WI and is able to customize homes with available options and upgrades. The Stratford Homes Sun Valley is a great split bedroom floor plan that can be customized with different interior materials and finishes–cabinetry, countertops, backsplash, flooring, etc. Choose the materials you like and make this home your own! This home also has the option of adding a fireplace in the living room. Enjoy the open concept living area with a warm fire on chilly Minnesota nights. Contact us today for more information!